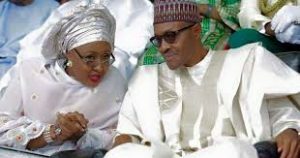 PDP asks President Buhari to probe Aisha Buhari wife over 2.5 billion naira scandal – Royal Times of Nigeria. The Peoples Democratic Party, PDP, has challenged President Muhammadu Buhari to show his ‘zero tolerance’ for corruption by allowing for an open investigation into the over the two-point-five billion naira scandal, involving the aide de camp of his wife, Sani Baba-Inna, who is currently in SSS detention. 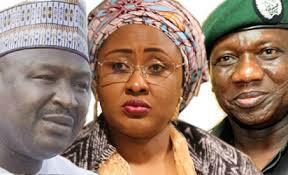 Baban-Inna has been accused of using Aisha Buhari’s name to collect money from unsuspecting associates and government officials. The opposition party, in a statement by its spokesman Kola Ologbondiyan said that the scandal has vindicated its stance that President Buhari presides over a government of corruption. Ologbondiyan said the ADC should be tried in an open court and be allowed to defend himself, instead of the spirited effort by the presidency to suppress a matter that is already in public domain. The PDP said it hopes that the aide will not be ‘escorted’ out of the country to prevent him from opening up, as was the case of the former minister of finance, Kemi Adeosun.